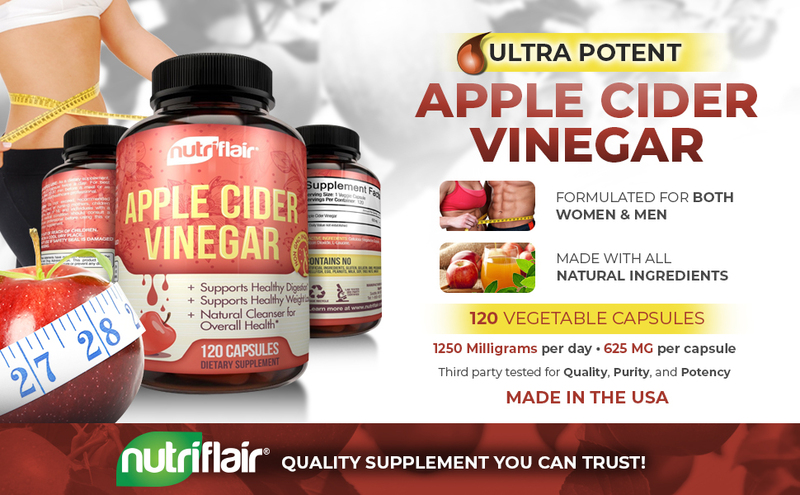 If you’re ready to curb your cravings and lose weight naturally, you can’t go wrong with our apple cider vinegar supplements. For years, research has proven that apple cider vinegar is effective in cleansing, detoxifying, and helping men and women boost their metabolism. 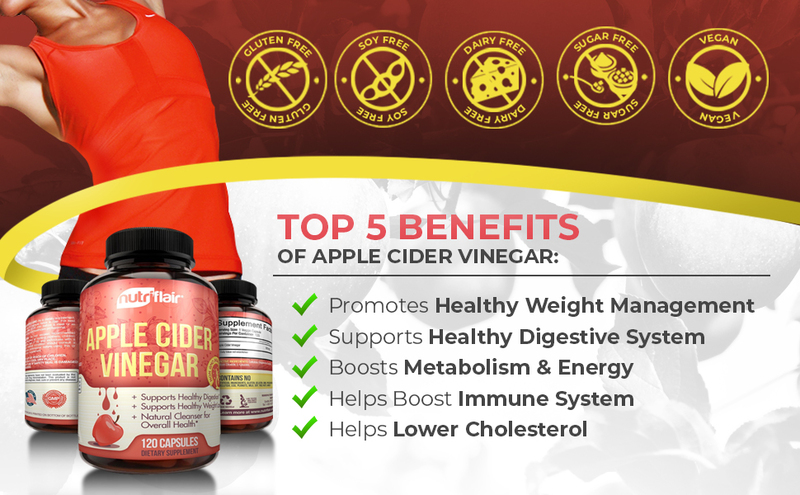 By taking our apple cider vinegar supplements, you’ll feel strong and healthy and shed the unwanted pounds in a healthy manner. Our capsules are 100% natural and formulated with organic ingredients that are good for your body and mind. There are no wheat, yeast, sodium, sugar, and preservatives. Whether you’re in search of a natural fat burner or appetite suppressant, this is the solution you’ve been longing for. You have nothing to lose but unwanted fat. We are so confident that these capsules will deliver superior results that we offer a 60-day money back guarantees. If you are dissatisfied with your purchase for any reason, we’ll refund every penny you spent. No questions asked. What are you waiting for? Order today! *This statement has not been evaluated by the FDA. This product is not intended to diagnose, treat, cure, or prevent any disease. Individual results may vary.